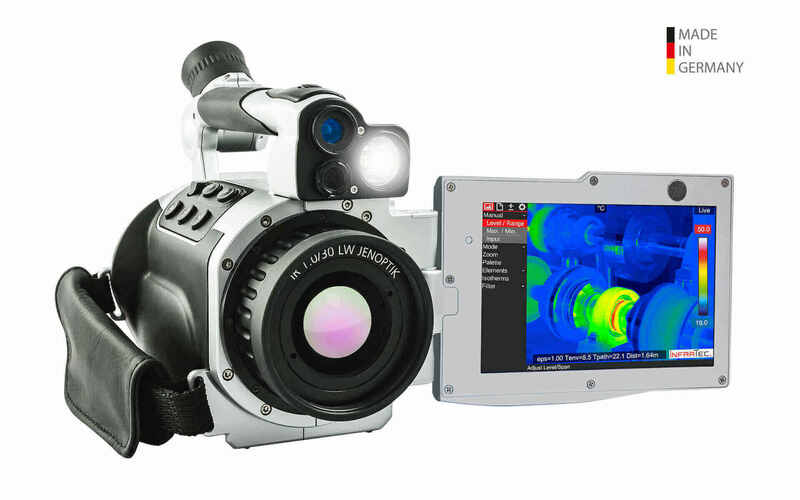 With its 3.1 Megapixels in IR-format this worldwide unique infrared system gives a new definition to the premium segment of uncooled thermographic inspection cameras. The MicroScan technology works opto-mechanical and is designed for permanent operation. Due to FPA detectors of the latest generation with (1,024 × 768) IR pixels, this technology allows for a quadruplication of IR measurement pixels. They show real temperature values but not interpolated pixels. This opens up several new fields of application. Old measurement tasks become more efficient and therefore, valuable working time and costs are saved. Large-scale or far-flung measurement objects can now be recorded in one, fast, precise and complete recording due to the unique MicroScan technology. 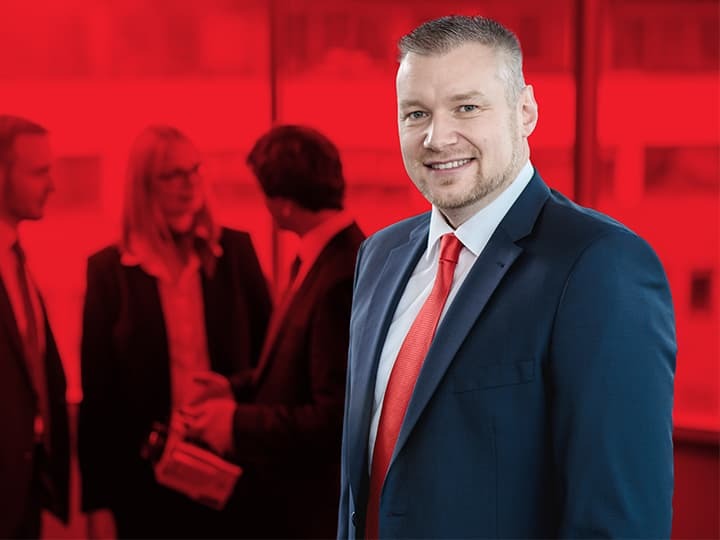 In case of sudden temperature changes, the infrared camera VarioCAM® High Definition provides a sub-frame modus (“subwindowing”) that is usually only found in cooled infrared cameras. 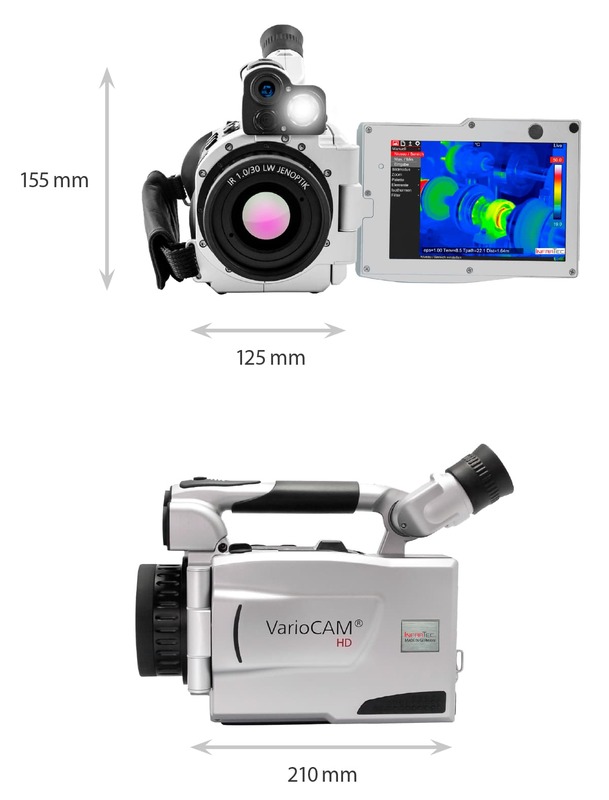 The VarioCAM® HD series allows recording of infrared sequences with frame rates up to 240 Hz. In order to reach such high frame rates, each time a defined section of the detector is being read. 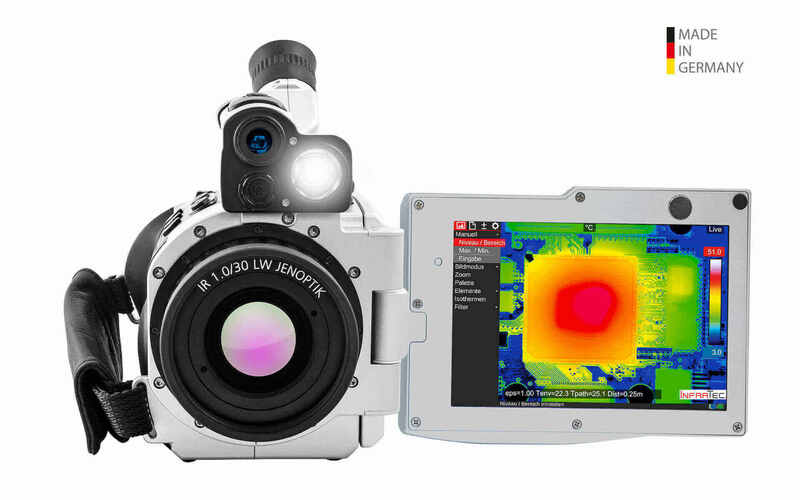 The big 5.6" display, the LED light as well as the integrated WLAN and GPS module support the daily usage of the infrared camera VarioCAM® High Definition for condition analyses of switchgear cabinets, machines, electrical applications and substations. With the focus-free 8 Megapixel digital camera additional visual images for documentary purpose in exceptional high quality can be taken on-site. 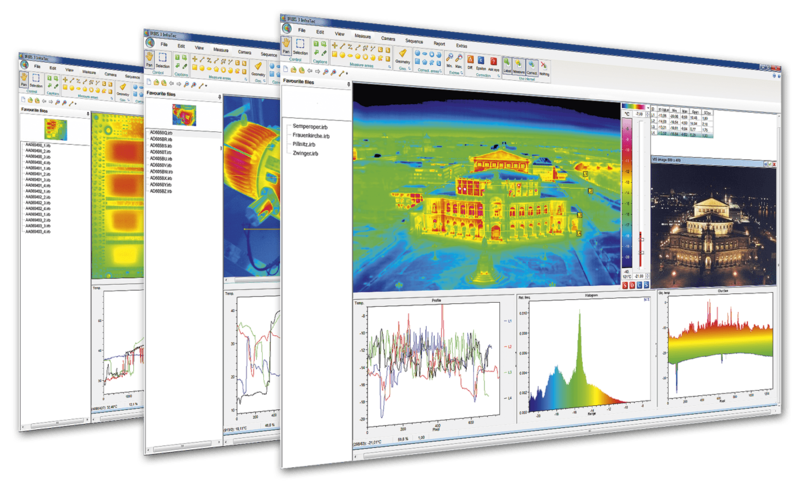 The thermographic software IRBIS® 3 report allows an efficient evaluation and documentation of the thermal image taken. The extensive TFT colour display features thermal images in native resolution with high colour depth. 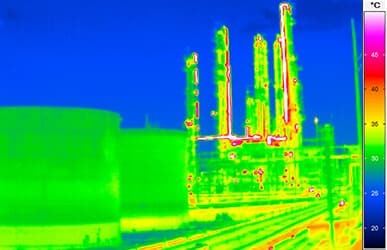 With the resolution of (1,280 × 800) pixels all details in the thermal image can be identified reliably. The display fully fits for daylight and can therefore be used to display high quality infrared images even when exposed to sunlight. All important status and measurement information are clearly shown and can be easily read from the display. Thus comfortable navigation is possible. The integrated flip-mirror-function rotates automatically the display view, depending on where the current recording point of the camera is located. In bright sunlight it can be a challenge to generate high-contrast thermal images without reflection. 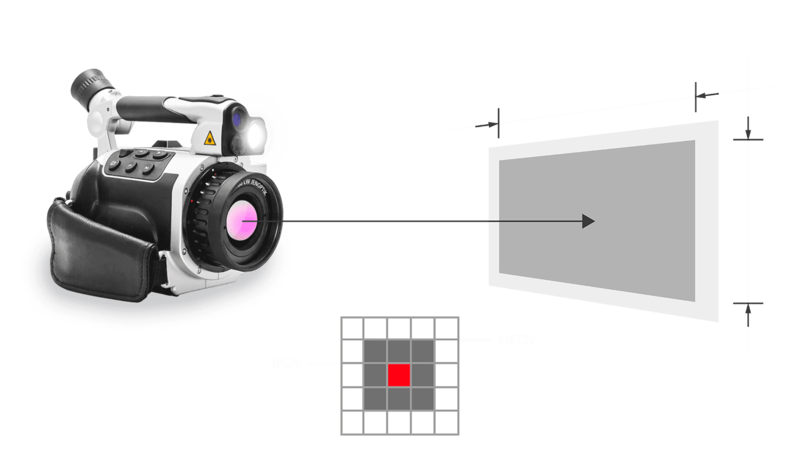 However, the integrated, pivoted viewfinder with diopter compensation enables the usage of the infrared camera VarioCAM® High Definition even under difficult lighting conditions. Therefore, unrestricted camera navigation and detailed on-site evaluation works without any problems. 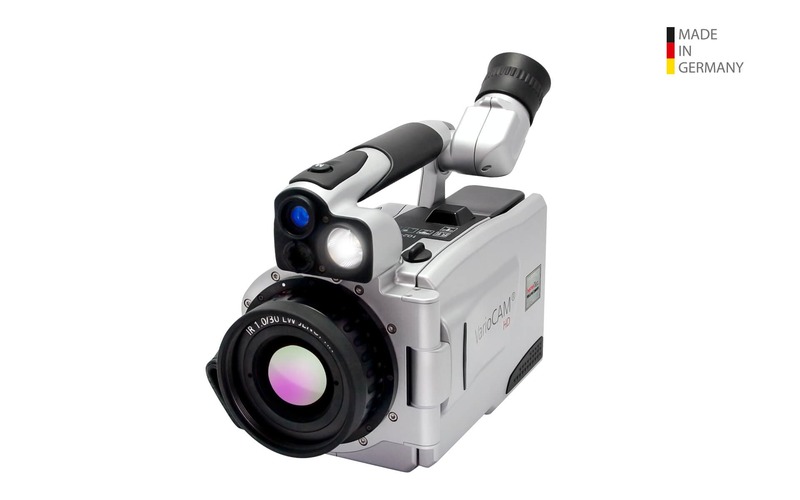 The infrared camera VarioCAM® High Definition is calibrated using special algorithms. The specially developed calibration algorithm, with more than just a few calibration curves, is used for compensation of temperature fluctuations. Therefore, highest measuring accuracy and repeatability even at changing environmental temperatures is ensured. 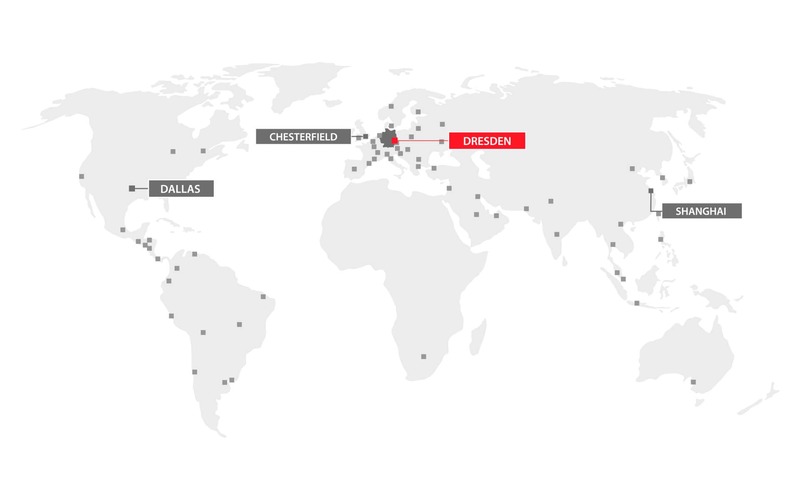 The exceptional high measuring accuracy can be reached across a wide temperature range. The thermal resolution describes the process to dissolve slightest temperature differences and thus, can display this measurement value. 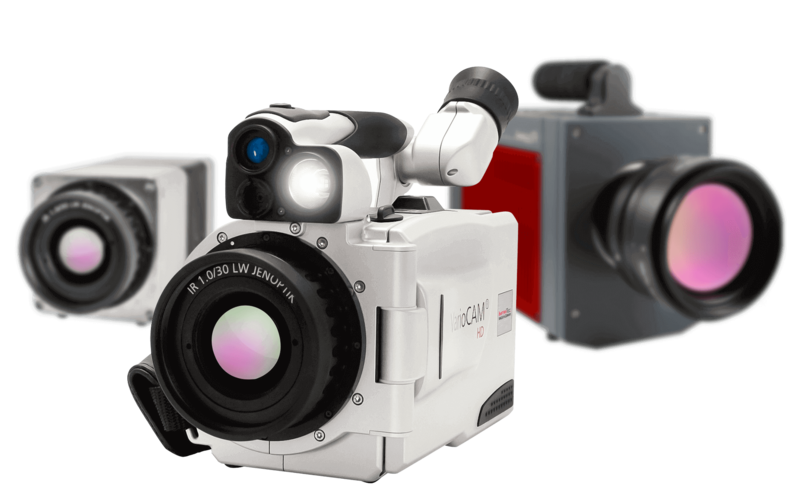 The infrared cameras of the VarioCAM® HD series have a high thermal resolution of up to 0.02 K that helps to display even slightest temperature differences with accuracy. In combination with the high-performance lenses this helps to detect critical faults at an early stage and display these in excellent quality. 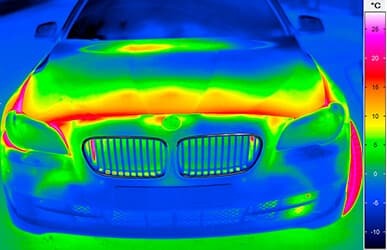 Due to the comprehensive range of lenses for infrared cameras, a wide range of measurement objects is available, starting with micro thermography to telephoto lens applications for objects in a large distance. The optics of the VarioCAM® HD series were designed as uncompromising full lenses with an opening number of 1.0, highest transmission and transmission quality as well as low distortion. 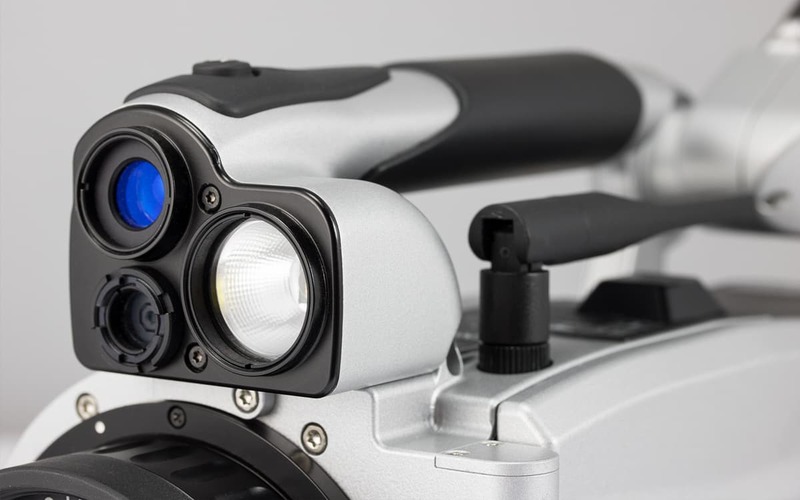 An absolute novelty in the field of portable infrared cameras is the integrated laser range finder, which can exactly detect object distances of up to 70 meters. It is possible to display this additional information with the camera and saved it in the thermal image or retrieve it as necessary. In this way, the user is able to determine the acceptable distance exactly in order to prevent any geometrical measurement mistakes. Furthermore, existing data can be integrated in report templates and individual created calculation rules automatically. Constantly changing object scenes require manual or automatic refocusing activated by the user. The integrated permanent autofocus function facilitates this work. In case there is a scene change the camera automatically adopts fast and precise the optimal focusing. With the innovative EverSharp function all objects of the image scene are displayed sharply, not depending on camera distance or lens. 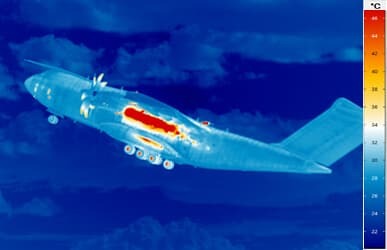 With the help of special algorithms thermal images with different focus positions are combined automatically, so that only the sharp object structures are displayed in the resulting thermal image. 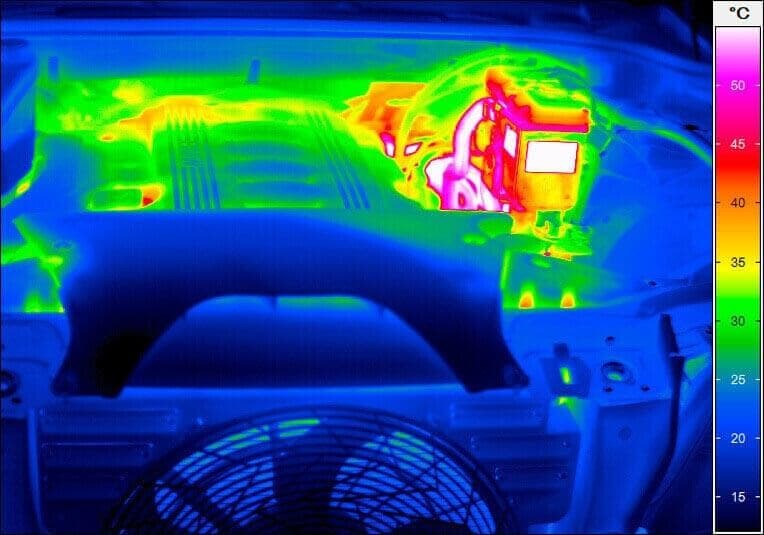 Thus thermal images turn out very impressive as all objects are displayed in superb image quality. Another interesting function for maintenance tasks is the integrated GPS module. 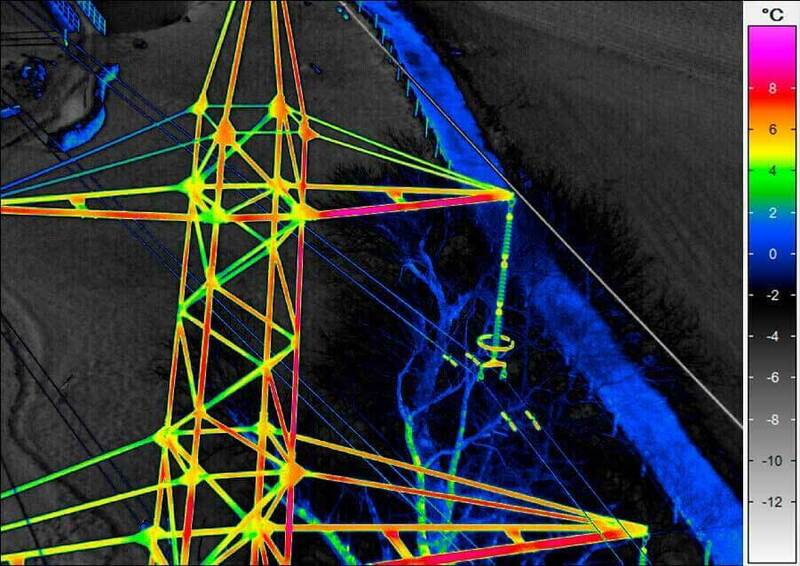 This module is able to geographically recognise the measurement location and can automatically locate as well as archive thermal images. 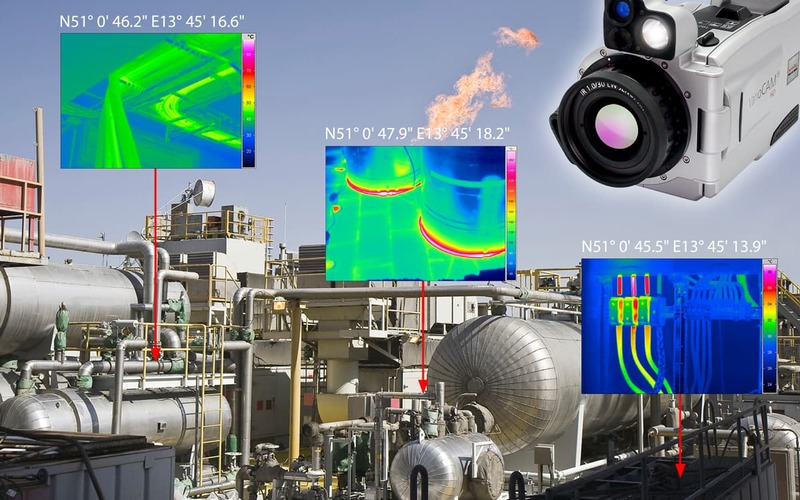 It is useful if, for example, a various number of objects located in different places within a big facility have to be measured thermographically at regular intervals. An integrated, automatically focusing digital camera with a resolution of 8 Megapixel, video function and LED video light for image illumination allows detailed as well as high-contrasted visual digital recordings. The robust light metal housing (protection degree IP54*) is ergonomically flexible designed according to the users needs. It provides reliable protection for the high sensitive optronics of the device. In addition, it guarantees trouble-free operation even in harsh industrial environments and keeps constant the excellent optical and metrological performance parameters of the device over a long service life. The high-resolution, light intensive colour display of the infrared camera is integrated in the light metal housing. In this way a long-term and trouble-free operation of the VarioCAM® HD is guaranteed. The usage of a high-quality LEMO connector technology ensures a high protection degree of the infrared camera even for computer-based network operations. The numerous automatic functions, such as autofocus, automatic image optimisation, automatic hotspot display, automatic calibration range switch etc. enable a fast and effective operation. 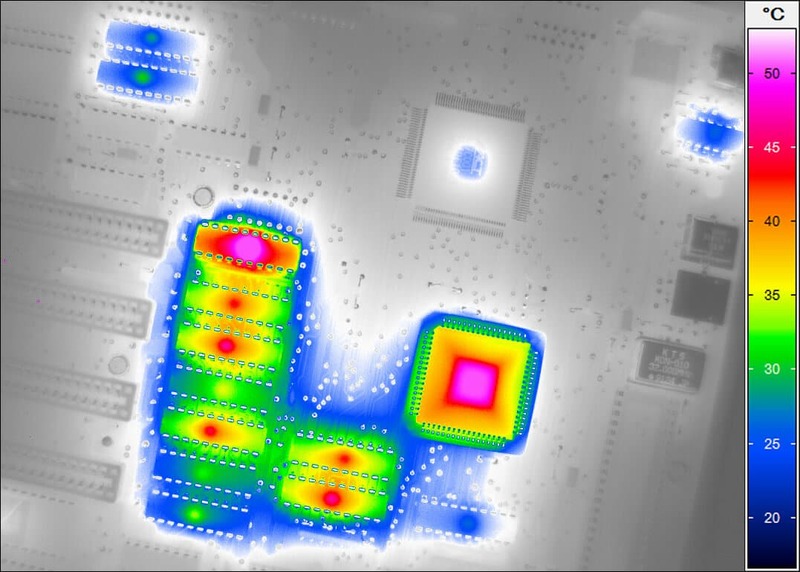 The efficiency of an infrared camera significantly depends on its data analysis software. 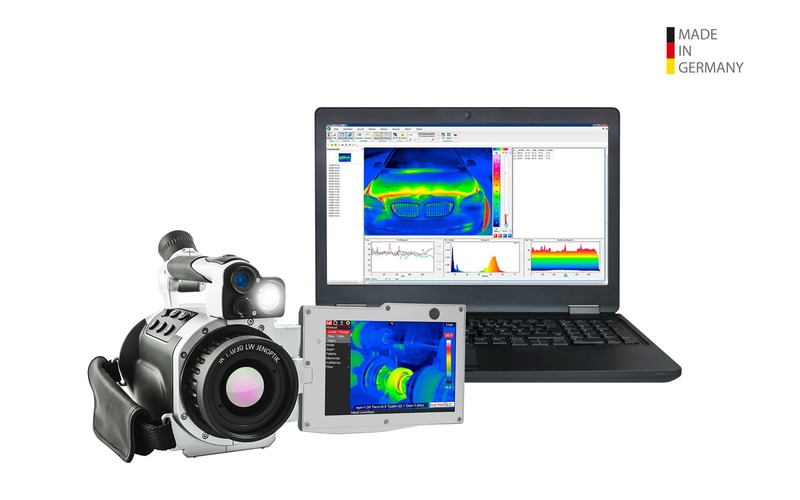 As a standard, the thermography software package IRBIS® 3 is included in each camera delivery. 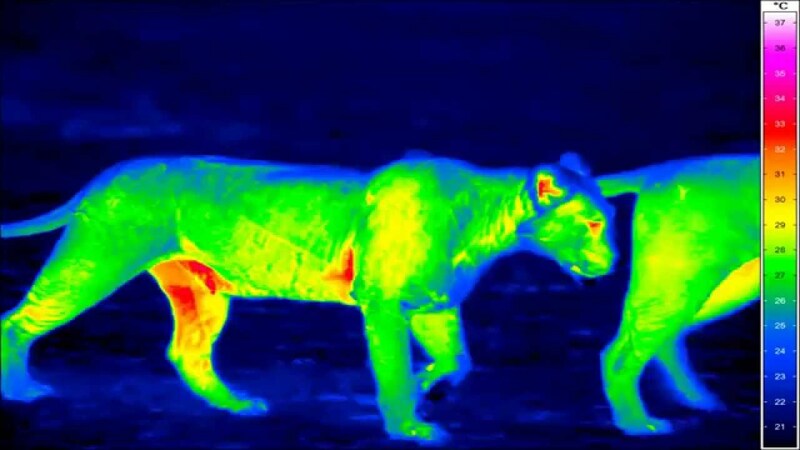 This software gives a fast, precise and detailed evaluation of obtained thermograms and sequences. With this, and the copy & paste function in all WINDOWS programmes a good basis is provided for comprehensive development work. 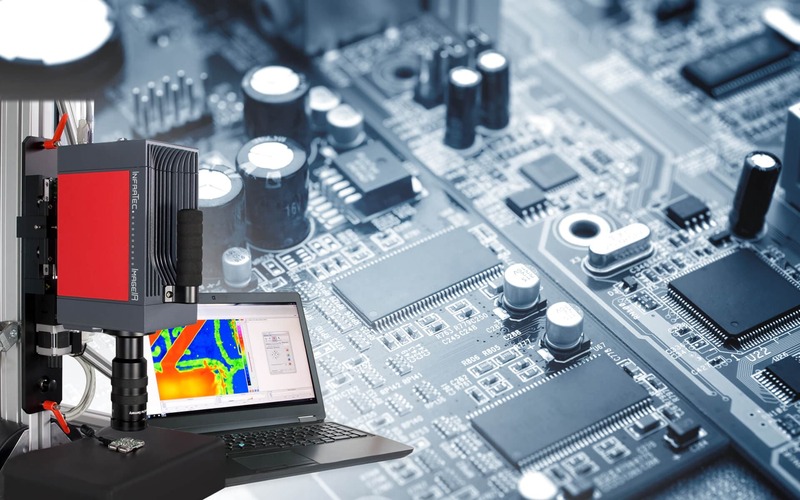 Detect inhomogeneous temperature distribution and local power loss during the production using the Lock-in thermography.